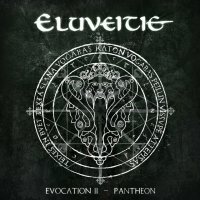 Eluveitie, the Swiss Folk Metal band, has returned with a new album. It's the second part to 2009's 'Evocation I – The Arcane Dominion' (also reviewed as a re-issue elsewhere) and along with said first part, it's quite different from anything that they've done before – it's Folk Rock Jim... but not as we know it! Previously, Eluveitie have always mixed their Traditional Folk instruments with dark yet captivating Metal rhythms and even Death Metal grunts and growls to enhance their sound and musicality. Now though, gone for the most part are the Metal guitars, bass, drums, growls and keyboards that you would expect to have found on a new album from this band. 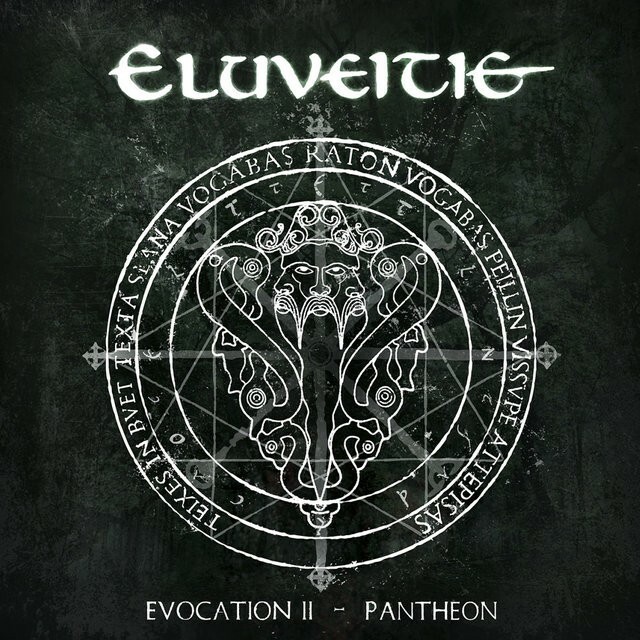 Instead, we have an almost pure, stripped-back Folk Rock album, and for me personally, I think it's possibly the best album Eluveitie has recorded. I've always liked their previous albums, and their mix of Folk and Metal was something I have always enjoyed hearing, but this album is something new. The music speaks to me on many levels which helps it to rise above all of their other releases. The lyrics for the songs are, once again, based on old texts written in Gaulish and taken from old prayers and invocations of the Gods and other spirits. Being sung in such an ancient language, I'm not sure many people, if any, will understand the lyrics! However, that doesn't matter because the band have recorded such wonderful music to accompany these ancient words that you soon lose yourself in it as you listen to songs like 'Epona', 'Lvgvs', 'Tovtatis', 'Artio', 'Taranis' and the beautiful Celtic Reel 'Grannos'. The eighteen songs found here rush by at a pace, leaving you happy but wondering where the last fifty minutes or so have gone. If you like Folk Metal and its ilk, then I can recommend this album to you easily, but don't expect to have your face ripped off by a heavy guitar riff or drum attack because it isn't here. What you will find instead is a classy album of Celtic Rock that soothes, lulls and finally invigorates the listener as the music plays. For this type of musical experience, what more could you ask for? !